Background: Clear Creek has been part of an extensive river restoration project. 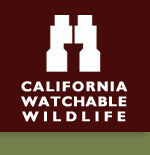 BLM and its partners, California Dept. of Fish and Game, City of Redding, Shasta County, U.S. Fish and Wildlife Service, Point Reyes Bird Observatory, and the Horsetown Clear Creek Preserve have all played an important part in the restoration of Clear Creek. Over 11 million dollars have been spent to restore the seasonal salmon runs in Clear Creek. Along with this restoration, a salmon viewing platform and trail network are being developed to allow the comeback of Clear Creek to be enjoyed by people along side the salmon (to be completed by 2009). The Experience: Clear Creek is unique among west side streams tributary to the Sacramento River because it is a perennial steam near a growing metropolitan area, yet it isn't extensively developed. Clear Creek begins in the Trinity mountains east of Clair Engle Lake, and runs approximately 35 miles to its confluence with the Sacramento River, just south of the city limits of Redding. The Whiskeytown Dam regulates the natural flow of the creek. As part of the Central Valley Project, 87% of Clear Creek's natural flow is diverted through the Spring Creek Tunnel into the Sacramento River above Keswick Reservoir. The Canyon between Clear Creek Road crossing and Whiskeytown Dam is eligible for inclusion in the National Wild and Scenic River System. Lower Clear Creek has the highest remaining acreage of riparian and wetland vegetation of the urban streams in the Redding area. Clear Creek is also home to fall and late-fall run Chinook salmon and the federally threatened spring run Chinook salmon and Central Valley steelhead which are highlight (along with the multi-million dollar stream restoration) at the salmon viewing overlook. Many neotropical and resident songbirds can be viewed in the Clear Creek Greenway. Wildlife and Where to Find It: Cross-country excursions, trails, salmon viewing platform. Trails are generally flat but some are narrow and primitive. During wet periods there are muddy areas. Viewing Tips: Good wildlife viewing year-round. Salmon viewing is best between October 1 and December 1 when the fall run is in the creek spawning. Bird viewing is best in Spring and Fall but available all year. Over 100 different species of birds are known to be found in this area plus otter, beaver, muskrat, coyote, fox, deer, garter snake, Chinook salmon, steelhead, and trout. Site Notes: This area supports a wide variety of habitat types, wildlife, historical and cultural features, and recreational opportunities. Clear Creek Greenway offers a non-motorized, unstructured, open space experience where trails are available but many areas are open for self-exploration. New vault toilets and parking lots are available. No fees are charged. Guided hikes are available on site in the spring and fall. Road Hazards: Roads are county maintained. How to Get There: From Redding, Take Highway 273 south approximately eight miles to Clear Creek Road. Turn West (right) onto Clear Creek Road. The salmon viewing area is approximately five miles from the intersection of Highway 273, on the south (left) side of the road.